Australia might have been lucky to have beaten Scotland last weekend but their last minute victory in the Rugby World Cup quarter final has ensured that they will not be taking World Cup semi-final opponents Argentina lightly. Australia’s Wallabies qualified for the Rugby World Cup Semi-final by beating Scotland 35-34 at Twickenham having trailed by two points with two minutes remaining. 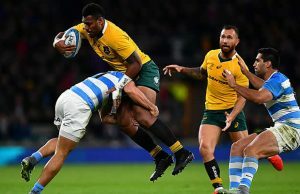 The result was controversial as Australia were awarded a penalty by referee Craig Joubert which World Rugby have since come out and said that it should not have been awarded. Australia were expected to easily beat Scotland in their quarter final and could have been guilty of going into the match a little overconfident but that will not happen this week especially since this time last year Argentina beat Australia. “You can’t underestimate them, you do so at your peril and we won’t,” said the 33-year-old centre who was named man of the match on his 100th Test appearance in last Sunday. Giteau said the Pumas’ confidence had been bolstered by their crushing of Ireland last Sunday and that makes them especially dangerous. “Every World Cup, they’re very good,” Giteau told a team press conference. Giteau, who is enjoying a new lease of Wallaby life after the ARU relaxed the rules on selecting foreign-based players, said the Pumas are a very different proposition to the side he had played against in the 2003 World Cup. “12 years gee … its been that long!” he said. “They’re as always very passionate and skillful but since that time they’ve added a lot to their game. Giteau, the one remaining player from the 2003 team beaten by England in the dying seconds of extra-time in the final on home turf, has a particular regard for Argentina great Juan Martin Hernandez, who he played with at Toulon and who will oppose him in the centres on Sunday. “He’s a beautiful man. 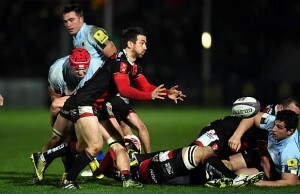 I always told him that when he was at Toulon,” said Giteau. “He’s very skillful, he’s tough, defensively strong and adds a lot of stability to that team. “I know what it’s like to play with him, especially in big games. He is a very, very good player, very confident in what he does and the things he can do a lot of other players can’t. I really respect him. “Obviously time has moved on so physically he is not the same but he presents a huge challenge for me. Wallaby flanker Scott Fardy — the workhorse of the backrow while Michael Hooper and David Pocock have stolen the headlines — said he hoped Pocock would be back after recovering from a calf injury. “They have a great back row as they showed in beating the Springboks in the Rugby Championship this year, and they are going to be a real handful for us,” said the 31-year-old, who has been a latecomer to Test matchs having only four years ago plied his trade in the second tier of Japanese rugby. Giteau believes the tight battle they had with the Scots — Craig Joubert’s mistaken award of a last minute penalty gave them their lifeline to the semi-final — will serve them well should a similar situation arise on Sunday. 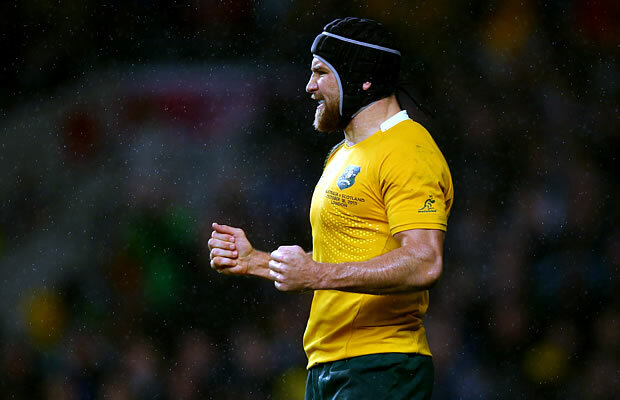 “We showed a lot of character at the end,” said Giteau. “It’s a good experience that will benefit us. “…said the 31-year-old, who has been a latecomer to Test matchs having only four years ago plied his trade in the second tier of Japanese rugby.” oh! latecomer really?